Precision Automated Technology has published a new White Paper on selecting a systems integrator. 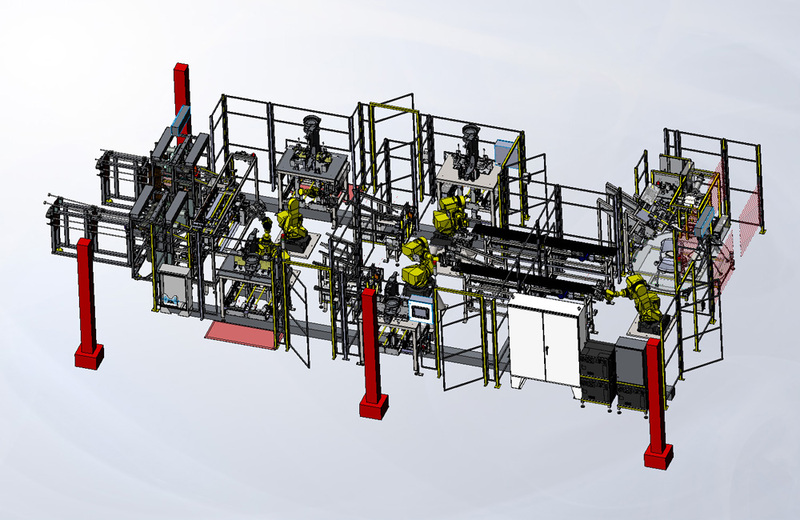 This paper offers valuable information for those looking to automate manufacturing processes. The contents of the White Paper are listed below and can be downloaded here. To ensure success in automating a manufacturing process is by clearly defining the scope of the process. The integration process is listed below and explained in further detail throughout this paper. The feasibility study is used to determine if the project is economically and technically feasible. This will help determine if a project makes sense and to move forward with plans to automate. The feasibility study will also provide identification of possible cost savings. A systems integrator will design and build a turn-key solution. Selecting a systems integrator who has the capability to both design and build an automated solution is vital to the success of a project. Robotic integration into factory automation is now commonplace. Robotic automation can improve manufacturing processes as well as help keep workers from incurring repeated task injuries and fatigue. Systems integrators have qualified installation technicians who will be able to install and fine tune the setup of the automation equipment. Training on automated equipment is vital. A systems integrator will provide training on the equipment after installation in order to achieve successful operation in the future. There are many elements that make up a successful automated solution. However it is essential that the first step in the endeavor is a proper Project Feasibility Study. This study becomes the road map for the project and helps to identify any economic and technical risks that need to be addressed before a project begins. The goal of a Project feasibility study is to produce realistic solutions that satisfy all involved parties. A systems integrator will design and build a turn-key solution. Selecting a systems integrator who has the capability to both design and build a automated solution is vital to the success of a project. A systems integrator will provide project examples of past successful projects. A project timeline of similar systems may be provided. Design and build challenges will always present themselves once the project is underway. It’s important to feel confident in the systems integrator’s skills to adapt to changes, and unforeseen events. No project is without it’s challenges, but a skilled systems integrator will have a successful track record of finding viable solutions when the unexpected presents itself. The automated production requirements may be best served by the integration of robotics into a manufacturing process. The capabilities of industrial robots vary widely from being able to handle very precise delicate manipulations to heavy, robust operations. A systems integrator will be able to recommend the right robot for the needed tasks. By way of comparison several robots are shown below with their payload and other performance specifications. Prior to installation the systems integrator will perform a factory acceptance test (FAT). The purpose of the FAT is to ensure that the automated solution operates according to specification. Product samples are often run through the automated solution at the systems integrator’s location. These sample product runs help simulate real time operating conditions. Once the FAT is complete the automated solution is packed and shipped for installation at the final location. A systems integrator will provide installation technicians to setup and tune the automated solution to factory operating settings. At the conclusion of the installation the automated solution will be ready to run and operate in the factory production schedule. After installation the systems integrator will offer training to factory employees on the operation and maintenance of the automated solution. This training will help ensure the automated solution maintains a long production life cycle. Precision Automated Technology is a qualified systems integrator with over 23 years of experience successfully designing and building automated solutions. Their automated solutions are operating worldwide. Contact Precision Automated Technology for additional information on how they can help you find your automated solution.